Chancellor Goldstein established the CUNY Latino Faculty Initiative to redouble CUNY’s outreach and recruitment efforts within the Latino community in higher education. Currently headed by Dr. Arlene Torres, the project has two primary objectives: (1) to undertake outreach and recruitment activities to attract outstanding candidates for faculty positions in all disciplines at CUNY, and (2) to work with CUNY colleges to connect highly qualified candidates to positions open within the CUNY system. Refer to the link for the pdfs. If I can be of assistance, don not hesitate contact me. Professor Arlene Torres, Director of the Latino Faculty Initiative at CUNY. 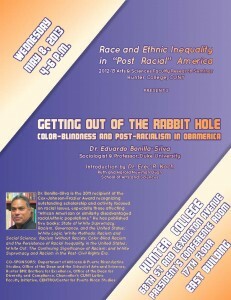 Wednesday, May 8th, 4 p.m., President’s Conference Room at Hunter College, CUNY. See poster for additional details. We look forward to seeing you there. 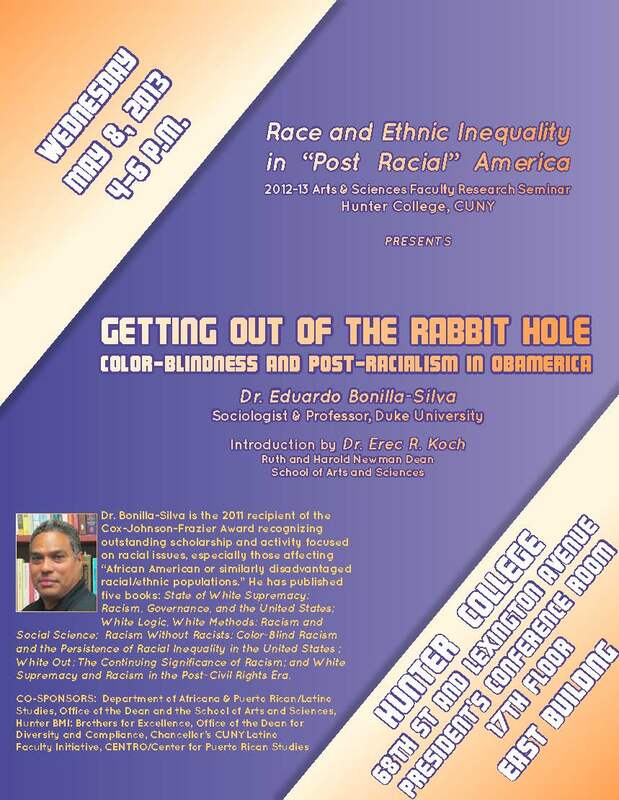 Wednesday, May 8, 2013, 4-6 p.m.
Dr. Bonilla-Silva is the 2011 recipient of the Cox-Johnson-Frazier Award recognizing outstanding scholarship and activity focused on racial issues, especially those affecting African American or similarly disadvantaged racial/ethnic populations. He has published five books: State of White Supremacy: Racism, Governance, and the United States; White Logic, White Methods: Racism and Social Science; Racism Without Racists: Color-Blind Racism and the Persistence of Racial Inequality in the United States; White Out: The Continuing Significance of Racism; and White Supremacy and Racism in the Post-Civil Rights Era. The Department of Africana & Puerto Rican/Latino Studies, The Office the Dean and the School of Arts and Science, Hunter BMI: Brothers for Excellence, The Office of the Dean for Diversity and Compliance, The Chancellor’s CUNY Latino Faculty Initiative, CENTRO. You can download a PDF copy of the conference’s Final Program, and also register online no later than Thursday, October 18th. The registration instructions page also includes instructions for reserving rooms at hotels near the SUNY–Albany campus. An enriching glance at the historical origins and development of Taino society in the Caribbean, specifically on Hispaniola (today the Dominican Republic and the Republic of Haiti). 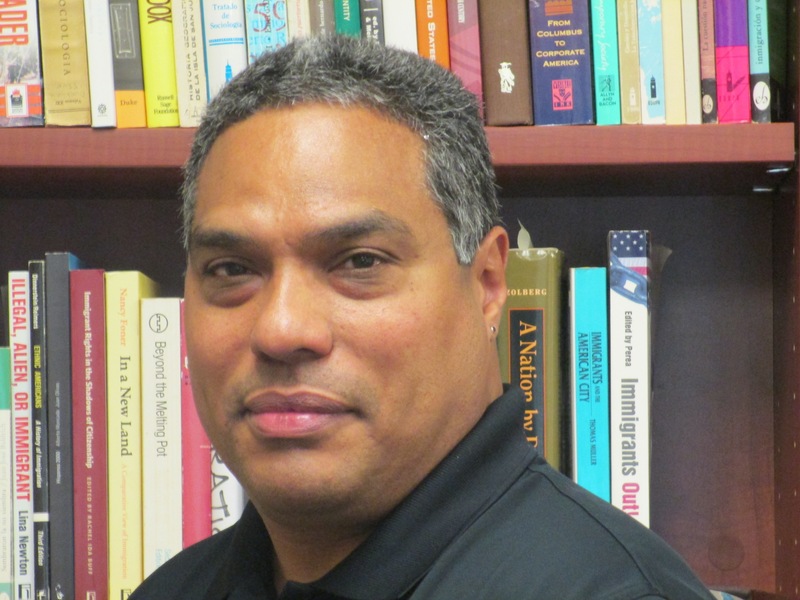 Forum explores and presents latest research on the central role the Taino played in the formation of Dominican society. A photo exhibit featuring selected images from the collector’s edition of “Taino: Joyas del arte taino. Jewels of Taino Art,” follows. Upcoming Conference: Latino Art Now!